We have the experience and expertise to help you with the selecting, fitting, and styling your new wig. 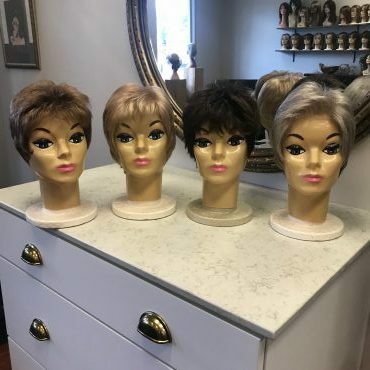 We provide cutting, trimming, and sizing depending on your specific needs and there is no charge for these services when you purchase your wig from The Wig Shoppe. We truly believe wig shopping is not simply a retail purchase but more of a service. You have to try on, touch, feel, and see the wig before taking it home with you. 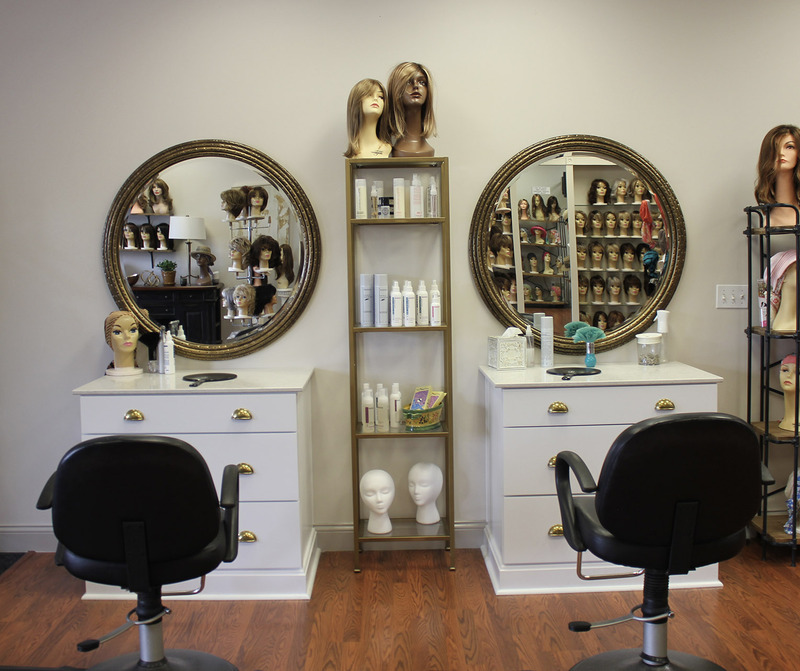 At The Wig Shoppe you will get the benefit of a trained professional who can help you find the right wig and make you look and feel your best. We have a large selection of synthetic wigs in stock and available to take home. We also sell and style human hair wigs. 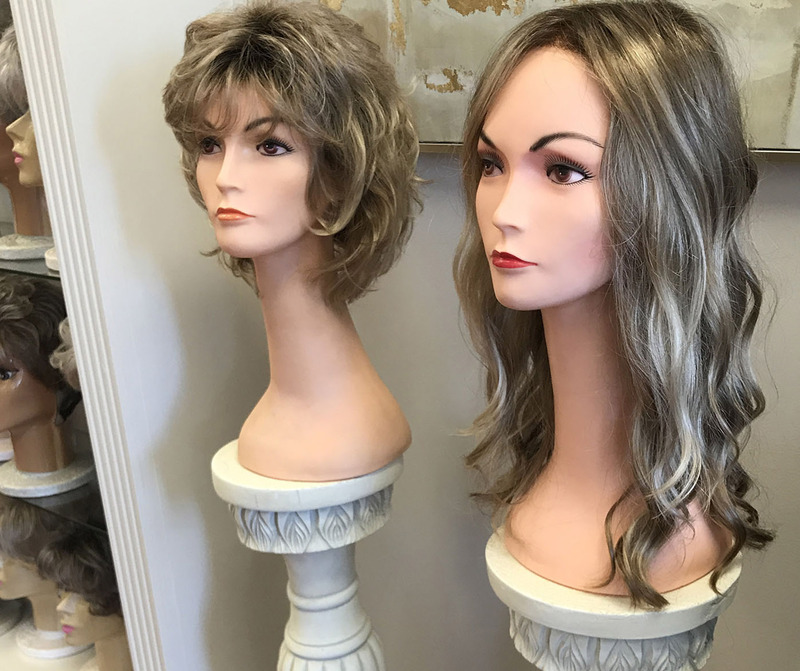 We carry all of the leading wig manufacturers including Jon Renau, HairUwear, Raquel Welch, Gabor, Estetica Designs, Envy, Henry Margu, and more. Feel free to reach out with any questions regarding stock or inventory. We also carry hats, sleep caps, turbans, scarves, and more. Chemotherapy causes full or partial hair loss for many women. We specialize in helping women through this journey. Believe it or not, the hair loss is the most distressing side effect of chemo for many women. 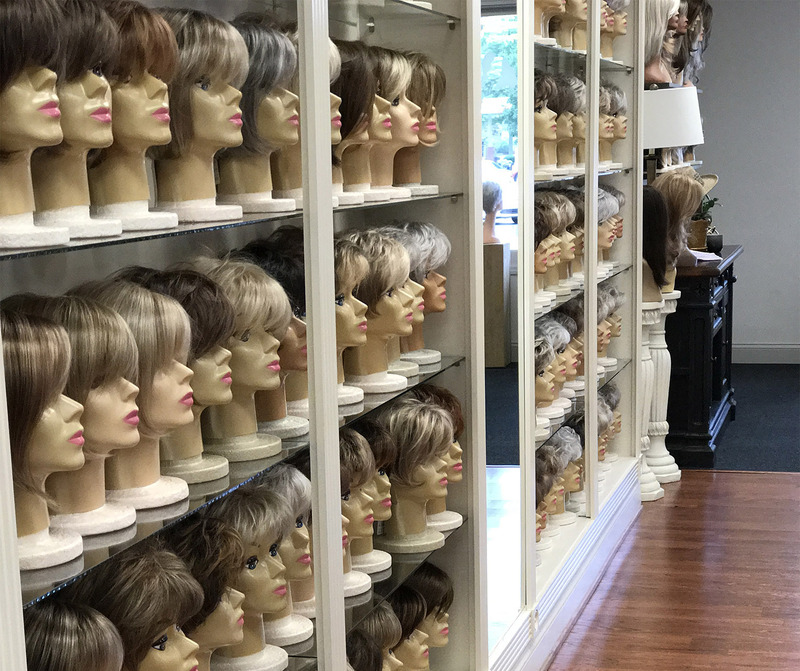 The Wig Shoppe is here to help guide and educate you on how to select the proper wig. Lifestyle, head size, hairstyle, length, budget, and more all play a part in this decision. 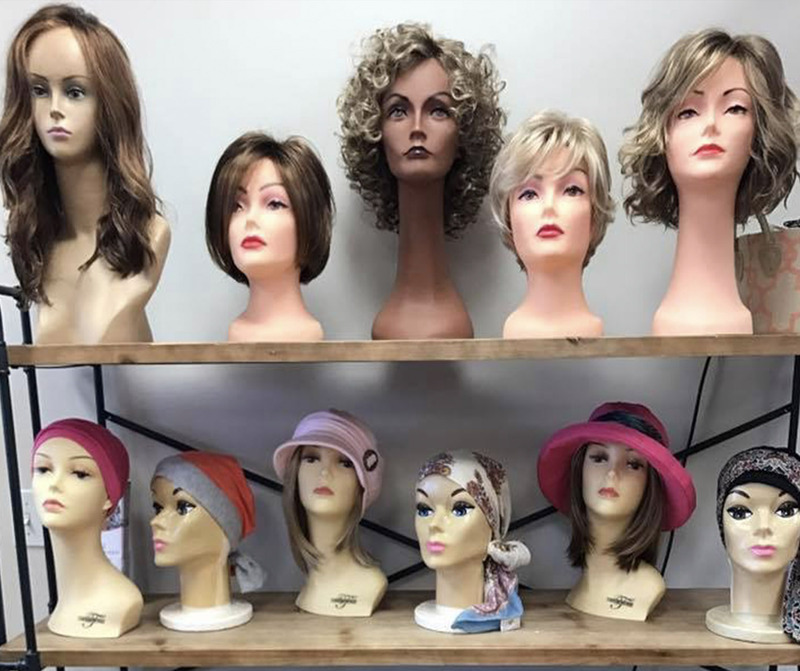 During this difficult time in your life, we want to help make the wig selection process easy and fun for you and your family. We do recommend coming to select a wig prior to the expected hair loss. Being prepared for hair loss often helps make things easier and will help you to be more confident with your wig. 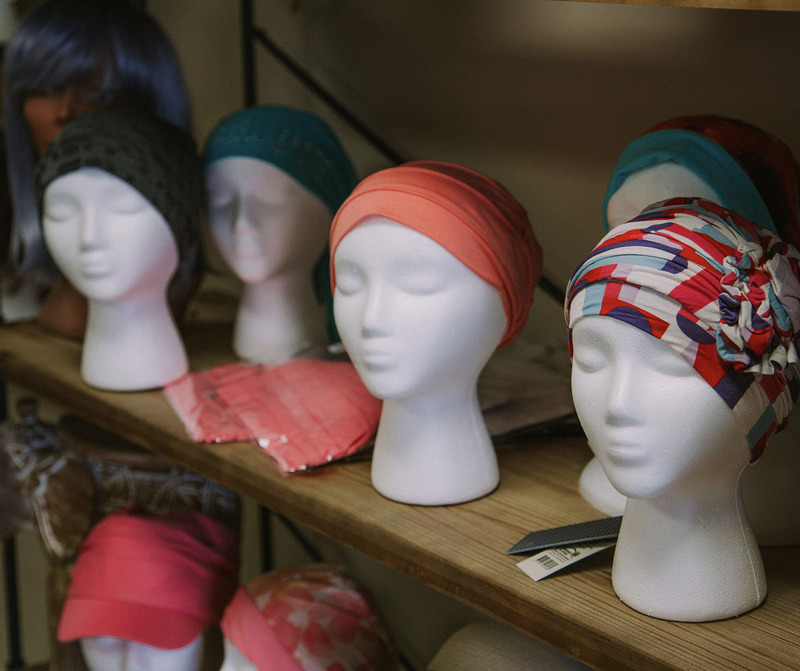 We also carry scarfs, turbans, and sleep caps that are comfortable and pre-tied to make things simpler for you. Alopecia is a disorder that causes unpredictable hair loss. Many of our clients come in experiencing full or partial hair loss due to alopecia. We specialize in helping you to find the best alternative hair solution. For many women experiencing partial hair loss due to alopecia, a topper or wiglet is the best solution. For others experiencing full hair loss, a wig is the best solution. We offer synthetic, heat sensitive, and human hair fibers. We will help lead you in the direction you will want to go depending on budget, lifestyle, the amount of time you want to spend styling your hair, and length. Whether a result of medication, thyroid, genetics or more, thinning can be distressing. Oftentimes women with thinning hair can begin their alternative hair journey with a topper or wiglet or a full wig may be best for you. We can help you make that decision. Convenience, low maintenance, ease – these are a few of the reasons women wear wigs today. We like to call it “vacation hair”. Wigs are great for travel and just as great for everyday wear. Change your color at a fraction of the cost of a color job. © 2017 Thewigshoppe - All Rights Reserved.